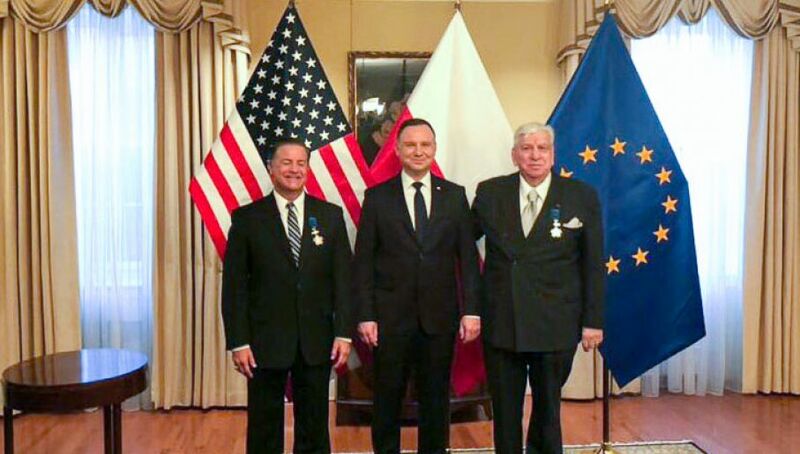 The Polish President Andrzej Duda awarded two US citizens, Mark Sutton and Jacques Paul Klein, with the Officer's Cross of the Order of Merit of the Republic of Poland. Mark Sutton is a major investor in Poland and the CEO of International Paper, an American paper producer operating globally. Jacques Paul Klein was the head of three United Nations peacekeeping missions in the countries of the former Yugoslavia. He was cooperating with the Polish elite special unit GROM, during the first capture of a war criminal in this region. On Wednesday, President Duda attended the funeral of the former US president George HW Bush. Lech Wałęsa, Poland’s former head of the state, was also present at this ceremony.